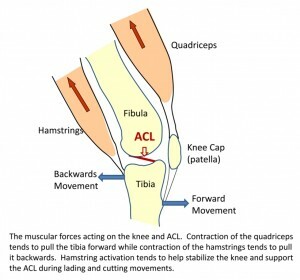 Perhaps one of the most researched topics is ACL injuries. I have been studying and working for years in my clinical practice to find the best ways to rehab athletes following injury as well as implement the most effective injury prevention strategies. Prior studies indicate prevention programs even when self directed can be successful. However, on the whole injury rates have not declined over the past decade or so. Much attention has been given to valgus landing mechanics, poor muscle firing, stiff landings, genetic difference between males and females, ligament dominance, quad dominance, and so forth. The predominant thoughts today for prevention center around neuromuscular training and eliminating faulty movement patterns (refer to work being done by Timothy Hewett and Darin Padua). Note: click on any of the thumbnail images above for a full view of the exercise. From left to right: Nordic HS curls, sliding hamstring curls and single leg RDL). A recent blog post entry by the UNC Department of Exercise and Sport Science (@UNCEXSS) has spurred my post today. Click here to read their entry on optimizing injury prevention based on work done by Professor Troy Blackburn regarding the effect of isometric and isotonic training on hamstring stiffness and ACL loading mechanisms. 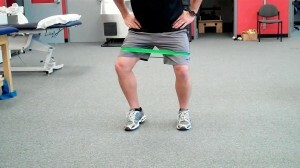 The research that was done holds promise for hamstring training designed to increased musculotendinous stiffness (MTS). Unearthing the cause of anterior knee pain and ridding our patients and clients of it is one of the never ending searches for the “Holy Grail” we participate in throughout training and rehab circles. I honestly believe we will never find one right answer or simple solution. However, I do think we continue to gain a better understanding of just how linked and complex the body really is when it comes to the manifestation of knee pain and movement compensations. We used to say rehab and train the knee if the knee hurts. It was simply strengthen the VMO and stretch the hamstrings, calves and IT Band. Slowly, we began looking to the hip as well as the foot and ankle as culprits in the onset of anterior knee pain. The idea of the ankle and hip joint needing more mobility to give the knee its desired level of stability has risen up and seems to have good traction these days. Likewise, therapists and trainers have known for some time that weak hip abductors play into increased femoral internal rotation and adduction thereby exposing the knee to harmful valgus loading. So, clam shells, band exercises and leg raises have been implemented to programs across the board. 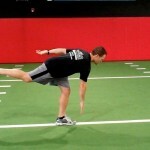 As a former athlete who has tried his hand at running over the past 5 years, I have increasingly studied, practiced and analyzed the use and importance of single leg training and its impact on my performance and injuries. As I dive deeper into this paradigm, I continue to believe and see the benefits of this training methodology for all of my athletes (not just runners). As a therapist and strength coach, it is my job to assess movement, define asymmetries and correct faulty neuromuscular movement patterns. To that end, I have developed my own assessments, taken the FMS course, and increasingly observed single leg strength, mobility, stability and power in the clients I serve. Invariably, I always find imbalances – some small and some large ones. What are some of the most common issues I see?